The Rocks in 1928, then Gundagai, Narrandera & other rural stations. also the George Lewis Trophy. Bravery Commendation re arrest at Batemans Bay in 1940. Highly Commended and awarded six months seniority for Conspicuous Bravery for the rescue of survivors, at sea, off Moruya on the 3 August 1942, after a fishing trawler had been attacked by a Japanese submarine. Also received a Certificate of Merit from Royal Shipwreck Relief and Humane Society of NSW. Memorial location: Below plaque is located at the location of the murder. On 4 January 1945, Constable 1st Class Bailey commenced duty at Blayney Police Station. On his 8th day at that station, he was dead. On a hot summer evening, eight days later, while on duty in Adelaide Street, he was informed that a drinker at the Exchange Hotel was displaying a revolver. Shortly after 8pm on 12 January 1945, Constable 1st Class Bailey spoke to a man, Cyril Norman, who was dressed in an American Naval Uniform outside the Exchange Hotel, Blayney. The constable told the man that he intended to search him and his belongings regarding his alleged possession of a revolver. The man suddenly produced the revolver and shot Constable Bailey in the stomach. The constable then took hold of the offender and during the ensuing struggle two more shots were fired and the offender was wounded in the wrist. Three railway employees quickly came to the constable’s aid and the offender was handcuffed and detained until the arrival of Constable Grady. Bailey told Grady: ” He shot me through the back. Don’t let him get away …I had a go. I didn’t squib it “. The wound suffered by Constable Bailey proved to be severe and he died on admission to the Orange Base Hospital with his wife by his side. He had in fact arrested his own murderer. Allegations were later made suggesting that the offender was a contract killer sent to murder another local policeman, Constable Stan Grady, who had been enthusiastically investigating sly grog sellers and SP bookies in the area. The offender was said to have inadvertently shot Constable Bailey, whom he mistook for Grady, who was off duty at the time. When shot, Constable Bailey was in mounted police uniform, and until that day Stan Grady had been the only mounted constable in Blayney, thus the offender’s error. The offender, well-known Sydney criminal Cyril Norman – alias Thomas Couldrey – was convicted and sentenced to death. Norman was charged with the murder of Bailey and that of Maurice Hannigan, a Sydney shopkeeper from whom he had stolen guns and ammunition. Although he was convicted, the death sentence was later commuted to life imprisonment. Bailey was posthumously awarded the George Cross, instituted in 1940 by King George VI and intended primarily for civilians, which recognized ‘acts of the greatest heroism or of the most conspicuous courage in circumstances of extreme danger’. The first Australian policeman to be so honoured, he was also posthumously promoted sergeant 3rd class and awarded the George Lewis trophy in 1945 for the most courageous act by a policeman. Bailey was accorded an official police funeral in Sydney and was buried in the Anglican section of Rookwood cemetery. 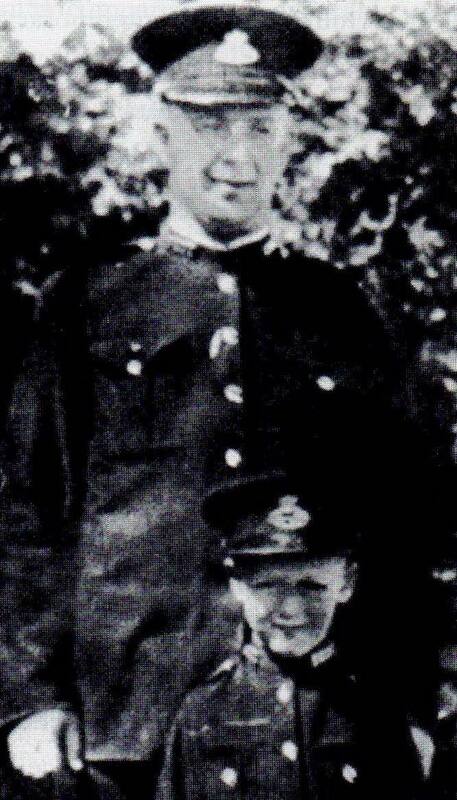 His daughter and son John, who was to join the New South Wales police at the age of 16, also survived him. The Sydney Morning Herald of 11 September, 1947 announced the presentation of Sergeant Bailey’s George Cross by Sir William McKell. GEORGE CROSS AWARD – INVESTITURE BY MR. McKELL. Mrs. F. M. Bailey, of Cleveland Street, Moore Park, widow of Police Sgt. Eric G. Bailey, yesterday received the George Cross awarded to her husband for holding a man who had fatally wounded him until assistance arrived, at Blayney in January, 1945. The decoration was made at an investiture held by the Governor General, Mr. McKell, at Government House. Sergeant Bailey was born in 1906 and joined the New South Wales Police Force in 1927. At the time of his death he was stationed at Blayney. He was posthumously promoted to Sergeant 3rd Class and awarded the George Cross and the George Lewis Trophy. 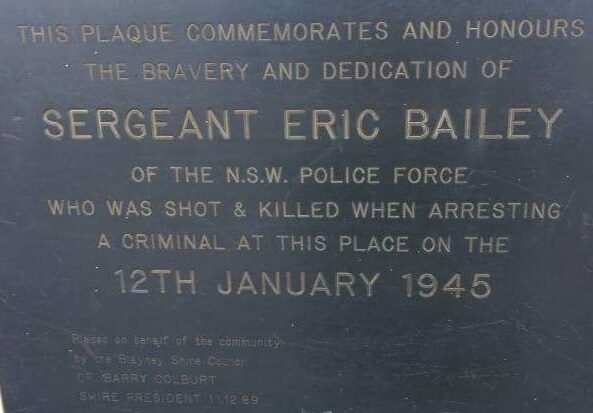 * Eric BAILEY is the ONLY Australian Police Officer to be awarded the Imperial Honour, namely the George Cross Medal. Eric George Bailey (1906-1945), policeman, was born on 14 October 1906 at Tenterfield, New South Wales, ninth child of Arthur Peter Bailey, compositor, and his wife Jane, née Bush, both native-born. Eric worked as a postal assistant before joining the New South Wales Police Force on 16 March 1927. After training, he was transferred to Sydney’s No.4 Division on 14 June, and sent to The Rock in 1928; he then served at Gundagai, Narrandera and other rural stations. Bailey was confirmed an ordinary constable on 16 March 1928. He married Florence May O’Connor at Mount Carmel Catholic Church, Waterloo, on 24 November that year. 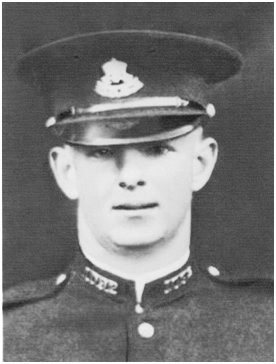 Promoted constable 1st class on 23 April 1938, Bailey was next stationed at Moruya on the south coast. In 1940 he arrested a criminal at Batemans Bay and was commended for bravery, cool-headedness and devotion to duty. Learning that a fishing trawler had been attacked by a Japanese submarine off Moruya on 3 August 1942, he and Sergeant Horace Miller set out at night in a pleasure launch in heavy seas to assist with the rescue of the survivors. Bailey was highly commended and awarded six months seniority for conspicuous bravery; he also received a certificate of merit from the Royal Shipwreck Relief and Humane Society of New South Wales. On 4 January 1945 Bailey was transferred to Blayney, south-west of Bathurst. On a hot summer evening eight days later, while on duty in Adelaide Street, he was informed that a drinker at the Exchange Hotel was displaying a revolver. When Bailey questioned the offender, Cyril Norman, and declared that he would search his room, Norman drew a revolver and shot him. In the ensuing struggle two more shots were fired, but Bailey managed to handcuff Norman and restrain him until Constable Grady arrived. Bailey told Grady: ‘He shot me through the back. Don’t let him get away . . . I had a go. I didn’t squib it’. Fatally wounded by the first shot, Bailey died hours later on 12 January 1945 in Orange Base Hospital, his wife at his side. Norman was charged with the murder and that of Maurice Hannigan, a Sydney shopkeeper from whom he had stolen guns and ammunition. Although he was convicted, the death sentence was later commuted to life imprisonment. service records of E. G. Bailey (police registry, New South Wales Police Dept, Sydney). Christa Ludlow, ‘Bailey, Eric George (1906–1945)’, Australian Dictionary of Biography, National Centre of Biography, Australian National University, http://adb.anu.edu.au/biography/bailey-eric-george-9403/text16527, published first in hardcopy 1993, accessed online 6 January 2015.